MELBOURNE: Australia’s David Warner has joined former captain Steve Smith and batsman Cameron Bancroft in accepting sanctions imposed on him by his cricket board for his role in last month’s ball-tampering scandal in South Africa. Smith and Warner were slapped with 12-months bans, while Bancroft, who was caught using a piece of sandpaper on the ball in the third test in Cape Town, was suspended for nine months following the scandal which rocked cricket in Australia. 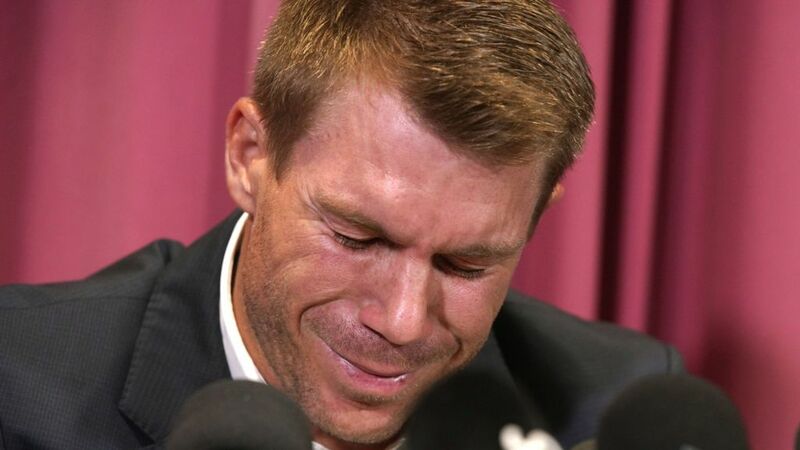 “I have today let Cricket Australia know that I fully accept the sanctions imposed on me,” Warner said on his verified Twitter account on Thursday. Smith and Bancroft confirmed on Wednesday that they had accepted the CA sanctions. The trio had until Thursday to appeal their bans. Smith and deputy Warner were stripped of their leadership positions for their role in the March 24 incident and are set to lose substantial earnings after sponsors dropped them and they were banned from this year’s Indian Premier League. Smith and Bancroft were also barred from holding leadership positions within the Australian team for two years, while Warner will never be able to hold such a position again. The trio returned to Australia at the end of last week and all three gave emotional news conferences in which they accepted full responsibility for their actions. The scandal prompted Darren Lehmann, who was cleared of any wrongdoing by the CA, to step down as Australia coach after the final test against South Africa.